The mighty oak (national tree symbol of USA); photo by Christopher Bruno on Flickr (noncommercial use permitted with attribution / share alike). 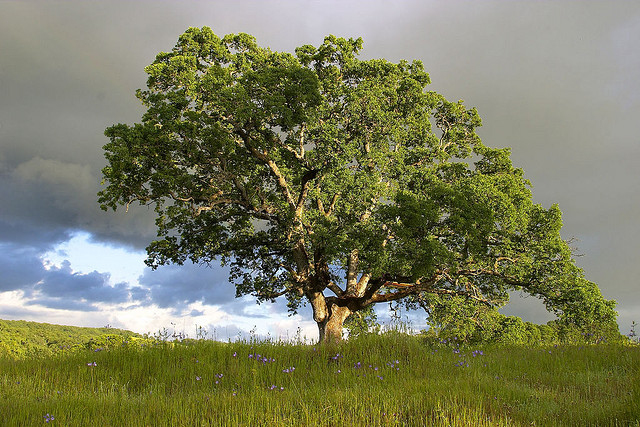 In 2004 the oak tree was designated as official national tree of the United States of America. 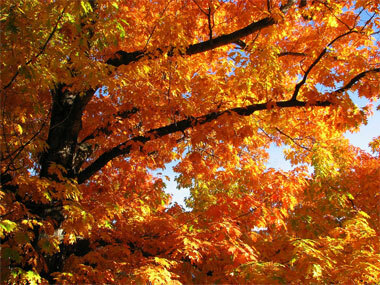 Each state also recognizes an official tree symbol (all state trees). Americans of all ages and from all walks of life helped to choose the oak tree as a national symbol through a vote hosted by The National Arbor Day Foundation. Passage of the bill was led by Congressman Bob Goodlatte of Virginia and Senator Ben Nelson of Nebraska. As part of the selection process, people were invited to vote for one of 21 candidate trees. These candidates were based on broad tree categories (genera) that included the state trees of all 50 states and the District of Columbia (or, the voter could choose to write in any other tree selection). Oak ran strong from the start, ending as the clear winner with more than 101,000 votes, compared to almost 81,000 votes for the runner-up (redwood tree). Dogwood, maple, and pine also made the top five. More than 60 species of oak grow in the United States, which makes it our most widespread hardwood tree. The oak is cherished for it's beauty, abundant shade, and top-quality lumber. Senator Nelson said: "It is a fine choice to represent our nation's strength, as it grows from just an acorn into a powerful entity whose many branches continue to strengthen and reach skyward with every passing year." Oak tree in glorious fall foliage; photo by phil.shen.2020 on Flickr (noncommercial use permitted with attribution / share alike).